This has been a week of saying goodbye to many of the “summer people” and having time to say hello again to those who are here all year round. And a time at Parry Sound when stock changes and the new fall releases continue to arrive each day. The Ninth Hour by Alice McDermott is now in paperback. I loved this book! The story of a single mother, and Irish immigrant in Brooklyn in the early 20th century. It is hard to find words to describe this simple, beautiful, complicated and profound little book. Delicious. You will fall in love with the story, the characters, and the author. French Exit is the most recent by Patrick De Witt. Described as a “tragedy of manners” this book is another witty caper by the author of The Sisters Brothers, such a hit a few years ago. Buffy Sainte-Marie by Andrea Warner is the authorized biography of this Canadian Icon – Folk hero, songwriter, activist and living legend, and the unforgettable voice of my generation. 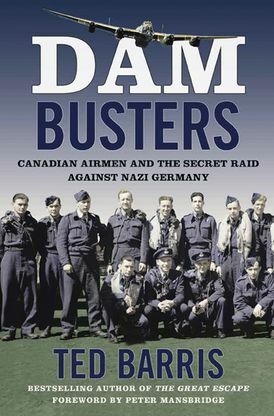 Dam Busters by Ted Barris tells the story of the Canadian Airmen and the Secret Raid Against Nazi Germany. Based on interviews, personal accounts, flight logs, maps and photographs of the Canadians involved in the night raid against the hydroelectric dams of Germany’s Ruhr River. A Casualty of War, the 8th in the Bess Crawford Mystery series by mother and son writing pair Charles Todd, is now in paperback. As the Great War nears its end Bess is confronted by a puzzling case of unexpected danger. We have just received a new selection of Cobble Hill jigsaw puzzles, and more are on the way from Eurographics and Ravensburger. The arrival of new books each and every day always makes a visit to Parry Sound Books worthwhile!